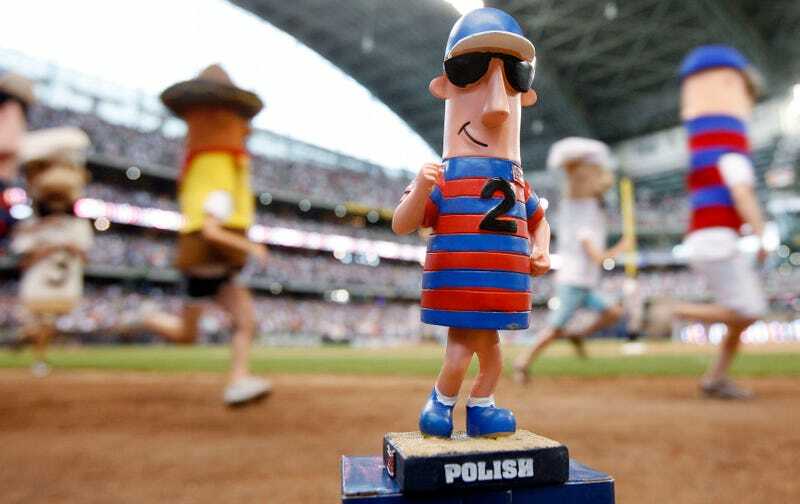 Polish Sausage Vs. Italian Sausage … WHO YA GOT?! This week’s Deadcast focuses on a number of topics, including the Mike and the Mad Dog 9/11 transcripts, the Aaron Hernandez suicide, and other instances where the sports-take machinery fully breaks down in the wake of real-world tragedy. But that’s not what you came here for now, is it? No, no ... you came here specifically for pointless food arguments, and that is what we have given you. Reader Denny gave us a real Sophie’s Choice between Polish and Italian sausage, and that was easily the highlight of this week’s broadcast. You can also listen at Apple Podcast, iHeart Radio, Stitcher, Spotify, NPR One, or GooglePlay. FINGERS CROSSED. You can also email us tips and/or general complaints at deadcast@deadspin.com. Do enjoy, friends.